The Siemens SIRIUS ACT range of push buttons and signalling devices offers an expertly developed selection of push buttons, pilot lights and switches that provide intelligence, reliability and are physically robust. These buttons are available now from RS Components. An innovative snap-on concept performs the task of installing a unit so effortless that it can be achieved with one hand. Constructed with real metals and high-grade plastics, fitted with smart functions and interaction capabilities, these state-of-the-art push buttons, indicator lights and switches have been extreme element tested to guarantee a long usage life and reliability for all your operations. The pushbuttons and signalling devices offer improved resistance to oils and detergents. The range has several certifications and approvals, in particular, Communautés Européennes, Underwriters Laboratories Inc., UL Recognized Component Mark, Canadian Standards Association, China Compulsory Certification, and Association of German Electrical Engineers. 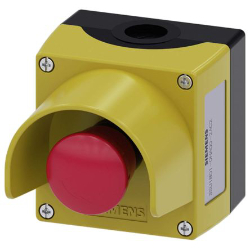 this range of push buttons is ideal for use in the food and beverage industry, pharmaceutical industry, rail and transport industry, automotive industry, mining and quarrying industry, and factory automation industry standards.